The PACG team has experience working in Africa in banking and private equity roles. They have strong local networks and knowledge of the key companies and organizations operating in various parts of Africa. In addition, they have significant access to international institutions and financiers focused on Africa. Born in Libya and raised all over the world, Steve Cashin has spent his lifetime as an engaged and active global citizen with a focus on the African continent. Steve is the founder and CEO of Pan African Capital Group (PACG), an enterprising, nimble platform that makes direct investments in financial services companies, participates in private equity funds and provides advisory services to a diverse array of African-focused clients across the globe. One of PACG’s initial investments was an infrastructure development firm in East Africa, and the firm has participated in various other major infrastructure transactions including renewable and emergency power generation projects, airport development, and oil and gas concessions. Steve has been at the forefront of discussions of how to leverage African capital to fill critical financing gaps across the continent. Prior to PACG, Steve was founder and Managing Director of Modern Africa Fund Managers, LLC, a US$105 million OPIC-sponsored fund for investment in middle-market companies across Africa. Starting his career at HSBC Equator Bank, Steve opened the East Africa office in Nairobi, Kenya where he managed relationships throughout East Africa and represented HSBC Equator Bank in Washington, DC. 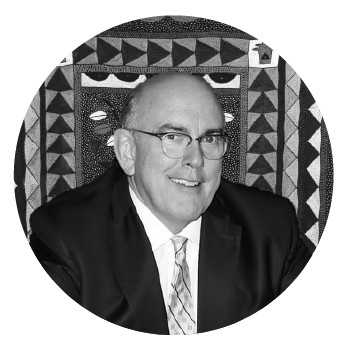 Steve serves on several nonprofit boards, including Jesuit Refugee Service International, Georgetown School of Foreign Service, and Africare, where he serves as Board Chairman. He led an initiative to introduce credit ratings to Africa as a senior fellow at the Center for Strategic and International Studies, and he continues to advocate for the development of Africa’s financial markets as a life member of the Council on Foreign Relations, the Bretton Woods Committee, the International Institute of Finance, and the Economic Club of Washington, D.C. Steve’s commitment to service began as a Peace Corps volunteer in Zanzibar, Tanzania. He graduated from the School of Foreign Service at Georgetown University in 1979 and received an MBA from Boston College. He now resides in Washington, D.C. with his wife, Molly, and their three grown children, all of whom share his affinity for the African continent. Gerald Woels joined PACG in August 2012. Gerald assists the investment team in monitoring companies within the existing portfolio and those of potential interest particularly those in West Africa. He also assists the team in the development of detailed company financial models and forecasts. In addition, Gerald conducts research and analysis on African markets and industries to better guide the investment team’s decisions. Gerald moved to New York in 2007 and started his career with ICAP Capital Markets, LLC. He gained valuable insight into the financial markets and business development strategies leading the New York operations of ICAP Media Markets. In 2009, Gerald moved to Maitland Primrose Development and Advisory Group, a firm specializing in research and development of post-conflict environments. Gerald is a South African national and is fluent in German and English. Gerald graduated from The Elliott School of International Affairs at the George Washington University in May 2012, with a Masters’ degree in International Affairs with a focus on Economic Development and a regional concentration in Africa. He holds a bachelors in International Relations from Connecticut College. Mrs. Edwards has extensive experience in the private equity and healthcare industry gained in the US and Sub-Saharan Africa. Prior to PACG, Susan worked at the Abraaj Group, a leading emerging-market private equity firm, where she focused on the Africa Health Fund, a US$105 million fund focused on growing private healthcare companies serving low-income populations in Africa. While at Abraaj, Susan led several investment opportunities in East Africa as well as the management of portfolio companies. Prior to Abraaj, Susan managed a small business accelerator program for minority entrepreneurs in Chicago and also spent five years at Abbott Laboratories in a variety of engineering, operations and new product development roles. She earned her bachelors degree in chemical engineering from Stanford University and an MBA from the Kellogg School of Management at Northwestern University. Lauren Corke came to PACG in May, 2016 after graduating from with an MA from Georgetown University's School of Foreign Service, where she focused on social enterprise and the role of the private sector in developing economies. 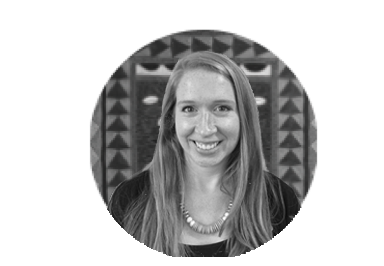 At PACG, Lauren supports the investment team in analyzing new opportunities for the portfolio, and works specifically on maximizing social impact within the Liberia Economic Impact Fund. Lauren spent the summer of 2015 helping the Ministry of Commerce and Industry in Liberia launch a new Small Business Association and has past experience working in Marketing and Public Relations. She moved to the DC area from Boston after serving as Peace Corps Volunteer in the Upper East Region of Ghana from 2011 to 2013. She graduated with honors from Colby College with a BA in Visual Arts with a double minor in Economics and Environmental Studies. Christy Collins is an international development professional with particular strengths in administrative and financial management, partner relations, grant-making and capacity-building, monitoring and evaluation, communications, strategic planning and fundraising. She has managed programs in community health and nutrition, governance, civil society strengthening, youth leadership and entrepreneurship, and agriculture and natural resource management. She is familiar with USG and multi-lateral donor procedures and policies, and with francophone administrative, legal and policy environments. She has spent close to 30 years in Africa. Samuel Boafo-Arko joined PACG in October 2017 from the Databank Group in Ghana. He was a member of Databank’s award winning research team and conducted economic research on a macro and micro level with coverage across key markets in Sub-Saharan Africa. At PACG, Samuel conducts political, economic and policy research on various sectors and industries to inform investment decisions and assists the investment team in analyzing and researching investment opportunities. Samuel also has valuable experience in both African debt and equity capital markets, and has worked closely with Databank’s Africa-focused brokerage and advisory team in structuring capital raising deals for clients. He graduated from the University of Ghana with a B.A in Economics.